We have many undergraduate students who volunteer with us in health related projects. These projects, which welcome pre-medical and pre-nursing, pre-dental students, provide a learning opportunity in universal health care practices. Pre-dental students can shadow in a local dental office and assist the staff with non evasive tasks. 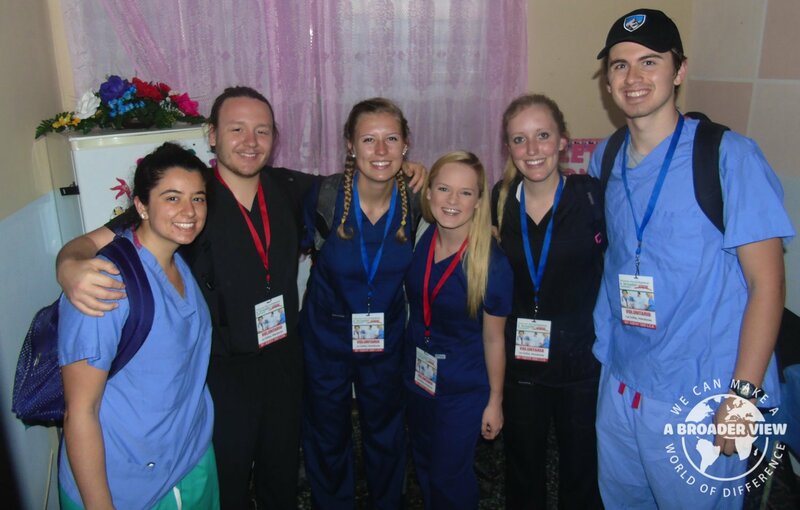 + What dental, nursing and medical student volunteer abroad programs are available? Options for pre-medical and pre-nursing students include a children's clinic which provides care to kids with cerebral palsy, Down's syndrome, and other disabilities. Another program is a residential center for adults and children residents with physical and mental ailments. Volunteers would help with early stimulation therapy, physical therapy support, verbal interaction, as well as feeding and cleaning. Volunteer in Ecuador, this is a unique health care internship program in the north of Quito which provides free services to the poor patients with more than 300 beds available for hospitalization. First Aid Course before the start of the program, given by a health care professional with experience. Participants will learn: take vital signs, blood sampling, suturing wounds and more (theory and practice). The course is “optional”, an extra unique cost of $50 paid in country to the coordinator. Volunteer Costa Rica For many people in Costa Rica basic dental health needs are unaffordable. Local people rely on public clinics (not private expensive care) for their dental needs. As you can imagine the number of patients can outweigh the means of the local dental staff. Our volunteers, those interested or currently enrolled in dental school, are welcome to volunteer in one of these public clinics. Not only is this is great hands on learning experience, you will be helping the local dental staff with their overworked schedules. Volunteer in Nepal, this program is recommended for trained medical and nursing professionals, as well as student nurses, PA students and medical students. In this program volunteers learn firsthand the reality of the medical challenges in a developing country. Volunteers have observed in the surgery ward, helping with changing bandages, assisted with wound care, shadowed on rounds in emergency and maternity areas. Volunteers Costa Rica are needed and welcome at this transitional shelter for children with chronic illness. The care center can accommodate 25 children, most of whom suffer from burns, healing from a transplant, awaiting surgery or are being treated for chronic disease. Patients from the National Children’s hospital are referred here to avoid prolonged hospitalization, and also provide housing for those coming from rural areas. As a pre-medical or pre-nursing undergradute this is an excellent opportunity to assist in a medical center. Gain universal knowledge and experience in your future career path. Volunteer with a local foundation that believes in the physical recovery of all individuals, offering rehabilitation to all people from the Guatemalan community. They offer physiotherapy, occupational therapy, speech therapy, hydrotherapy and special education to children and adults. Patients are disabled from for example car accidents, but also from birth with Down-syndrome, autism, or birth related brain damage. Volunteer in Ecuador, this is a non-profit medical institution whose mission is to improve health, education and welfare of children and low income people in Quito; through training, low-cost health programs and promotion of socio economic assistance to help solve the problems of the neediest. Volunteer Costa Rica If you are an undergraduate studying biology, chemistry or any of the sciences and are considering a career in medicine this is the ideal program for you. You will have an opportunity to see what life as a healthcare professional will be like. Having this experience is a great way to strengthen your application to medical/nursing/PA school. Volunteer in Kibaha, East Tanzania. Currently enrolled medical students, student nurses and dental students are welcome and needed at a charitable health center in the Kibaha District Council, the capital of Pwani Region, located 40 miles west of Dar Es Salaam. The center provides health services in a community of 26,000. Volunteer Honduras: Undergraduate students (medical, global health, nursing) are welcome to join our health-related projects in La Ceiba, Honduras. These projects not only provide a hands-on learning opportunity in universal health care practices, you will also make a lasting impact on this Honduran community. Volunteer in Nepal a dental internship in Kathmandu offers dental students and undergraduates the opportunity to shadow, learn and enhance their dental knowledge by observing a variety of dental procedures. Internship hours are approximately 35 hours a week, leaving free time on the weekends to explore this fascinating city and surroundings. Interns are based in a large dental hospital in Kathmandu which focuses services on the poor, marginalized and destitute people of the community. Volunteer in Tanzania at a medical center based in Arusha focused on supporting children afflicted with HIV/AIDs. This program is helping hundreds of families living with HIV/Aids and those suffering from malnutrition. Working with a local grassroots organization you will see how one person can truly help and change the life of someone in need. 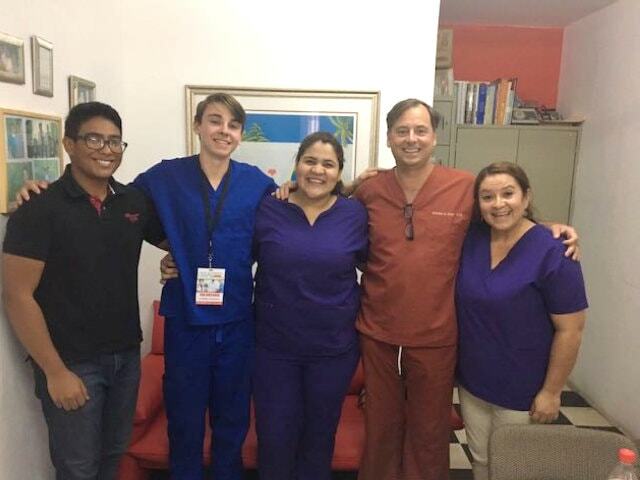 "Volunteering to provide medical and dental care here in La Ceiba Honduras was one of the most memorable and rewarding experiences of my life. The people here really need the care and the equipment that we donated. It was also rewarding being able to perform and teach some extremely useful Oral & Maxillofacial surgical procedures on the patients and doctors working here (respectively). I would highly recommend doing this program here in La Ceiba Honduras to anyone.."